Fast and professional washer repair in Livermore - HIGHLY RATED! If your washer or dryer is broken, we can help. 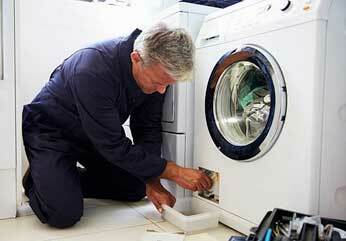 Our company Top Home Appliance Repair does fast and professional washer repair in Livermore. We guarantee that your dryer will work as good as new after one appointment with us. We know everything there is to know about washers and dryers. Our company works on any brand or model. For example we are very familiar with Asko, Bertazonni, Bosch, Dacor, DCS, Electrolux, Fisher&Paykel, Frigidaire, GE, Jenn-Air, KitchenAid, La Cornue, LG, Liebherr, Marvel, Miele, Perlick, Samsung, Siemens, Sub-Zero, Thermador, Traulsen, True, Viking, Whirlpool, Wolf and many others. Just one call to us and we will be able to set you up with one of our highly skilled technicians. What makes our technicians different from others is that they have all the knowledge and experience necessary to do the most complicated repairs. They are all factory trained and certified. That means they know exactly how to fix you any model of washer. Also, our technicians are all local to East Bay area and will be able o do washer repair in Livermore in no time. We very detail-oriented when it comes to repairs and you can be sure to get the best results possible with your appliance. Besides having very skilled appliance repair technicians we also make sure to offer you the best customer service. We treat our clients with respect and listen to their concerns. We will schedule you a convenient service appointment. The Same day, weekend and afternoon appointments are available. Our company also gives you solid estimate before starting any job. All the customers in East Bay or Livermore get a FREE service with repair and 90 days labor warranty. Once we determine what the problem is, a solution is soon to follow. For example, very often an older washer parts need to be replaced or motor fixed. Sometimes the washer needs to be leveled or cleaned out. Whatever the problem is, we will be able to solve it fast for you. After the problem is fixed, we will make sure to plug everything back in and to test it. We also, always clean up after ourselves and dispose of old parts. You will be happy to see how your washer is back to normal and all of your issues are solved. Why pick us to do washer repair in Livermore for you? We are your go to guys when it comes to washer repair in Livermore. Our experience and knowledge make us a perfect appliance repair company to contact. We will correctly diagnose your washer, find the right genuine parts for it and will professionally install them for you. Our technicians will go out of their way to help you out and to make this experience convenient and fast. In the end, you will get a washer that is fully functional and ready to serve you for many more years without breaking again. And if you need any help with any other appliance we are always happy to help. We are also expert in refrigerator repair, dryer repair, dishwasher repair, stove and range repair, oven repair, steam oven repair, microwave repair, freezer repair, ice maker repair, barbecue repair, pizza oven repair, patio heater repair and much more. For washer repair in Livermore, please call us at 925.265.7782 or you can fill out our short contact form. We would love to talk to you and answer all of your questions. Customer satisfaction is guaranteed! We also do washer repair in East Bay including Alameda, Alameda County, Antioch, Berkley, Brentwood, Clayton, Concord, Contra Costa, Contra Costa County, Danville, Discovery Bay, Dublin, Hayward, Lafayette, Oakland, Oakley, Orinda, Piedmont, Pittsburg, Pleasanton, San Leandro, San Ramon, Santa Clara County, Sunnyvale and Walnut Creek. If your washer or dryer is broken, we can help. 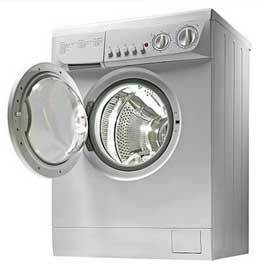 Our company Top Home Appliance Repair does fast and professional washer repair in Livermore. We guarantee that your dryer will work as good as new after one appointment with us.